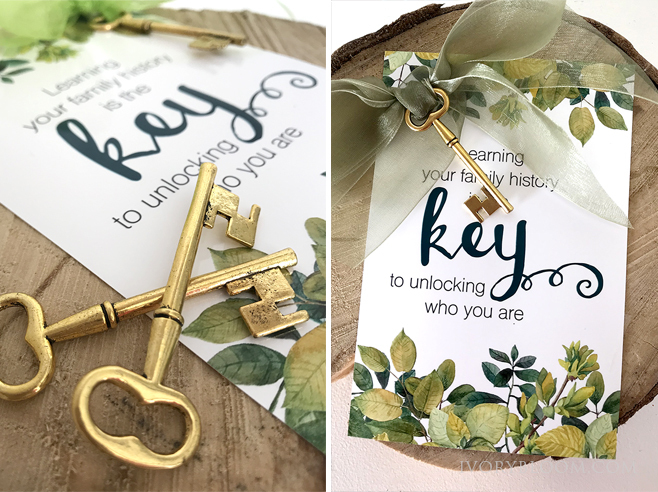 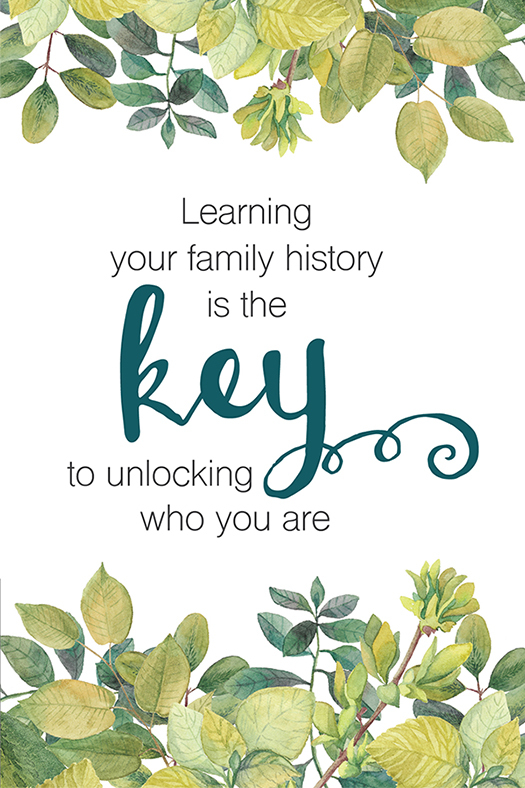 "Learning your family history is the key to unlocking who you are." 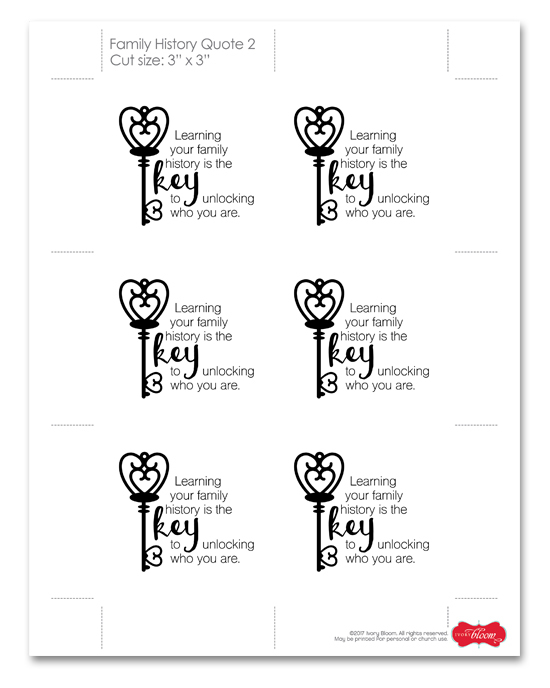 These fun printables can be used in many different ways. 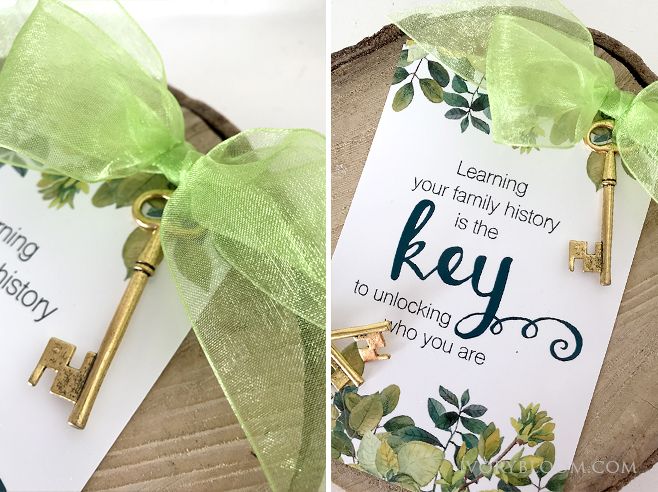 Attach a key and give as a gift. 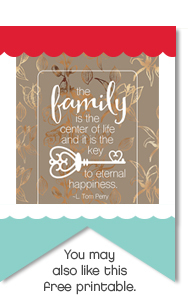 Right click to save image to your desktop and then have prints made at your favorite photo processing center. 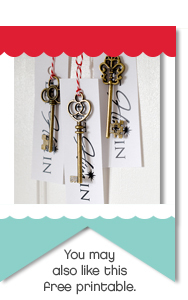 Large quantities of skeleton keys can be found online.